The STENHØJ GROUP has just published impressive results for the financial year 2017/18. In the year in which STENHØJ celebrated its 100th anniversary, the group shows great strength and continued growth. In fact, the group is rapidly approaching the milestone of achieving a turnover of DKK 1 billion. “In 2017, we celebrated our 100th anniversary together with our employees, customers and other business partners, and I am very proud to be able to round off a historic year with the finest results in our company’s history,” says CEO and owner of the STENHØJ GROUP, Søren Dyøe Madsen. Pre-tax profits were DKK 55 million. Turnover was DKK 809 million, which corresponds to an increase of 16 %. The STENHØJ GROUP’s management are satisfied with the results, which have met the expectations they had for the year. The STENHØJ GROUP expects the positive development to continue in the current financial year, with a continued increase in turnover and slightly improved pre-tax profits. 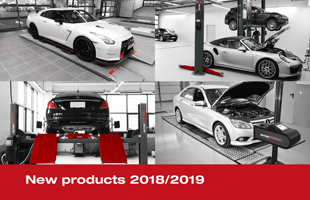 Over the course of the year, the group has increased its focus on acquisitions and developing new business areas with the aim of strengthening STENHØJ’s product portfolio and service provision within the automotive aftermarket. This year the group has added seven new companies to the STENHØJ family, in Finland, Estonia, Lithuania, Sweden, Australia, Hong Kong and China. The group’s Danish company STENHØJ DK has also acquired two companies during the year. “All acquisitions are part of the group’s strategy to become one of the market leaders in both the regional and the global automotive aftermarket,” says Søren Dyøe Madsen. The strategy was further consolidated during the year with the sale of STENHØJ Hydraulik, which is primarily a supplier to the industrial sector. “We could see that STENHØJ Hydraulik did not match our future strategy, and at the same time the company would have better conditions for growth under different ownership. So we have chosen to sell the company,” says Søren Dyøe Madsen. In future, the group will continue on its set course towards achieving greater worldwide distribution. “Our customers and business partners must feel that we are present and available – also geographically,” says Søren Dyøe Madsen. The group is strengthening its position within several strategic key areas. A short time ago, it was announced that a new focus area will be the development and sales of equipment targeted specifically at PTI test lanes. “We have established an organization which will focus exclusively on this area. We see great potential in this, and thanks to our acquisition of new companies, we have a solid platform to work from,” says Lars Ormstrup, director of STENHØJ Manufacturing and COO of the STENHØJ GROUP, which is at the forefront of developing the new business area. The group is also strengthening its sales and service organization. This is happening primarily at AUTOPSTENHOJ’s headquarters in Rheine in Germany, where the company is establishing the first academy within the industry. “We are working continuously to get the best employees and the strongest sales network around the world. That’s why it’s also important for us to offer the best conditions so that we can educate our employees and partners to work with our products and concepts,” says Johannes Kjellgren, director of AUTOPSTENHOJ. This is just the first in a series of academies which are expected to be established around the world. The group is also increasing its focus on digitization through Virtual and Augmented Reality, among other things. With this in mind, in September AUTOPSTENHOJ successfully presented its ambitious pilot project “AUTOPSTENHOJ Uplifting Experiences” at Automechanika in Frankfurt, the world’s largest trade exhibition. “It’s interesting to take a traditional and almost 100 years old product and digitize it. At the same time, we are also recognizing the fact that the group must offer more than just products and thus work more towards overall solutions for the benefit of customers and partners,” says Søren Dyøe Madsen. The STENHØJ GROUP is a Danish family-owned company based in Barrit in Jutland, Denmark. STENHØJ was founded in 1917 and has developed into a leading supplier of products and services, especially for the automotive aftermarket. STENHØJ GROUP consists of 15 subsidiaries in 11 countries, employs 660 people and exports to more than 60 countries worldwide.